White squirrels, sometimes misidentified as albino squirrels are more commonplace in Asia but they do appear in certain geographic regions of North America. Sometimes albino grey squirrels can be mistaken for white squirrels, it all depends on the genetics of the squirrel species. Just about every race and culture have occurrences of albinism, and interestingly enough plants and animals can also experience albinism. We’ve all seen examples of albinism in nature with albino lab rats, but you may not have seen an albino squirrel. Check out this guide to learn all about white and albino squirrels. What is Albinism In Squirrels? Albinism reduces the pigment (or melanin) someone has, resulting in people having fair coloring in their skin color, hair, and even eyes. All races and nationalities experience albinism, as well as plants and all animals. Albinism often times results in very poor eyesight and many people who suffer from albinism are considered legally blind. With their skin color being so fair there is also dermatological concerns, so sunscreen is a necessity. Unfortunately, there is no cure for albinism and there is no medication that people affected with albinism can take. Albinism is managed by using lots of sunscreen as well as being in contact and up to date with optometrists. Being an albino anything is not perse a bad thing, the biggest health risks for albinos are vision issues and dermatological issues. There are different types of albinism and researchers are still investigating more about the genetics involved in albinism. It is an inherited condition, meaning that it is passed down through genes and is not something you can “catch”. Albinism is a congenital disease, meaning that it is present at birth. Interestingly enough many parents of albino children have no traits and characteristics of albinism. Albinism can happen in as little as 1 to every 3,000 people in different areas in the world and in the United States it usually occurs in 1 to every 21,000 people. Plants and animals can also be affected by albinism, just like humans can. Just like in humans, albino plants and animals have a lack of pigmentation. The plants and animals affected by albinism, however, do have a lower chance for survivability. Albino plants are greatly affected by albinism because it lacks chlorophyll, so the plant loses its ability to go through photosynthesis. In animals, albinism affects an animals’ camouflage abilities (as well as making the animal sensitive to the sun, like in humans). Many of you might recognize the animal above as an albino lab rat. One of the most striking characteristics of albino animals (including the adorable little guy above) is the slightly creepy red eyes. This happens because the blood vessels are visible since there is no pigment in the iris. These animals also experience very similar vision problems like humans, including depth perception and poor vision. This also greatly reduces an albino animal’s survivability. Another sad thing about albino animals is that often times they are outcasted from their families, so they are often loners which also decreases the chance of survivability. Scientists believe that the only animal who can actually survive and live a full life is the albino squirrel. Other animals just have a very rough go and have a lot of cards stacked against them. Many pictures that you see of adult albino animals have survived because humans have rescued these animals when they were very young. Had they stayed in the wild a little longer it is very doubtful that those animals would have survived. Rescuing these animals not only helps the animal live but it also helps scientists and researchers learn more about albinism (which can help humans affected by albinism). So, just what is an albino squirrel and how can they survive when so many other albino animals can’t? In nature, there exists two very separate, but similar looking squirrels; the white squirrel and the albino squirrel. Oftentimes people mistake albino squirrels for white squirrels, which is very easy to do since they look so incredibly similar The picture above is of an albino squirrel, note the red eyes that are associated with albinism. The picture below is a white squirrel, which you’ll note has dark eyes. The way to tell these two cuties apart is the eye color, Red equals albino, darker color equals white squirrel. It is believed that white squirrels are derived from gray squirrels whose coats were extremely white, as opposed to the normal gray color. While albino squirrels are rare, white squirrels are considerably rarer and have captured the attention of people across the globe. While true white squirrels are not albinos, they are still rare and have their own issues. Most other squirrels are reddish or gray in color which allows them to blend into trees and surrounding plants. White squirrels, however, can’t really blend into their environment. So how the heck are they alive? Humans. By design, most squirrels have to be a blander color to blend into tree trunks, leaves, and even vegetation in the area they live in. White squirrels stick out like a sore thumb though, so how are they even a thing? Humans have been protecting, and saving, these cute white squirrels to the point that they don’t need to blend into their environment. White squirrels probably began as a simple anomaly in which not all the pigment was lost (called leucism). Many towns across North America are obsessed with white squirrels, to a point where any non-white squirrels have been removed to another place. That makes it so when the white squirrels breed there are more white squirrels, who reach maturity and breed with other white squirrels, and the cycle perpetuates until the entire squirrel community in these towns consists of only white squirrels. Now white squirrels are still very rare, so seeing one is still very special for squirrel nuts. There are even entire towns that are dedicated to their love of white squirrels. These 5 towns are absolutely nuts about their squirrels (pun intended). Olney, Ohio have dubbed themselves the “White squirrel capital of the world” because they have the biggest colony of white squirrels. If you accidentally hit one with your car there is an automatic fine of $500, and even the police and fire departments in Olney have white squirrels on their badges. Brevard, North Carolina is home to the White Squirrel Research Institute and if you want to see a white squirrel that is the place to go. It is estimated that 1 out of 3 squirrels in Brevard are white. Funny enough, it is believed that the white squirrel population is so high because a resident was gifted 2 white squirrels that were from a Florida circus. Those squirrels escaped and began mating with a large chunk of the squirrel population. Talk about one heck of a life those squirrels had. There are also quite a few colleges that have a large population of white squirrels, including the University of Texas in Austin (who has a very famous albino squirrel) and the University of Louisville in Kentucky. These white squirrels are believed to be good luck and are perceived as a good omen. It is believed that the squirrels got to these campuses because someone introduced them to the area. 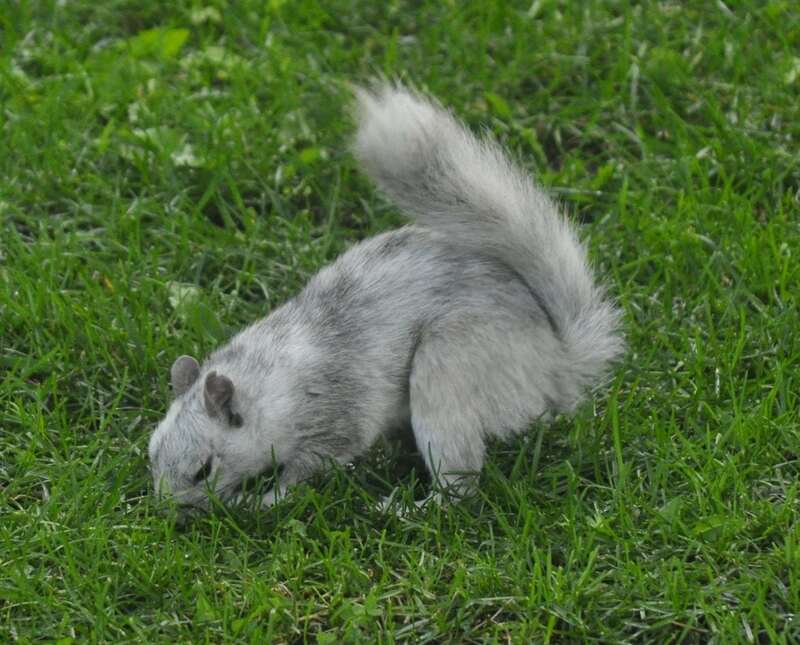 There are several other campuses that have their own white squirrel community, but the 2 campuses above are a little more well known than the others. Why The Obsession With White Squirrels? Why are people so focused on these squirrels? Simply put, they are very rare. And are pretty darn adorable, if we’re being honest. Finding just one white squirrel in nature is a rarity in its own, but finding an entire community of them is even better. Going along with the rarity of these squirrels is just the fact that they stand out so easily to us. Very rarely do we actually have something pure white in nature that can survive, yet here these squirrels are thriving in nature (even if humans intervened). You can simply Google “white squirrel” and get multiple results for articles written in newspapers about sightings, and a bunch of social media posts also show up of random people trying to get a picture of these squirrels. Our fascination doesn’t just end at the white squirrel. There are animals that are being bred as albino pets, including snakes and ferrets. Why? Because they are so rare and they are very eye-catching. For instance, when you look at the picture below your eye is immediately drawn to the albino turtle. What we love about albino animals is exactly what gets them killed in the wild. Ultimately albino and white squirrels kind of break out of the norm of Mother Nature, and have captured the hearts of people everywhere. If you are ever lucky enough to see a white squirrel make sure you report it to one of the many white squirrel research websites to help researchers learn more about these little cuties. 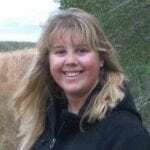 Kate is a graduate of Texas A&M University with a Bachelor's degree in English and is currently working on getting her Masters of Arts in English at Southern New Hampshire University. She loves to read and learn about all things space, a fanatic of NASA and the latest space science news. She currently lives in Texas with her two pit bulls, Lennox and Bentley.